The horror science fiction, Stranger Things has become a huge obsession for Netflix Fans. 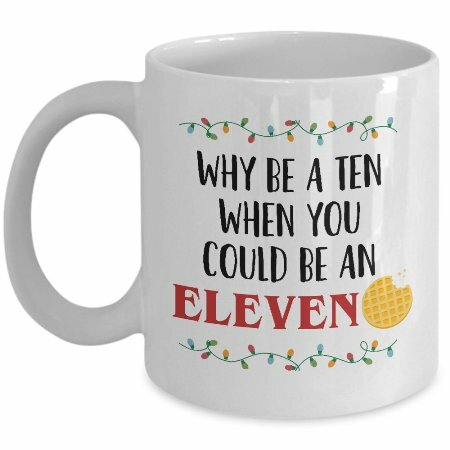 If you or someone on your list who is a huge fan of Eleven, Dustin, Lucas, Nancy, and other characters, we’ve got you covered! 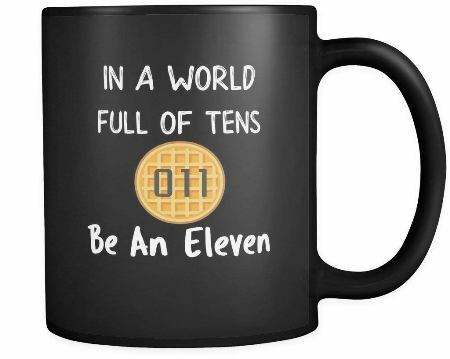 Discover 22 enchanting range of Stranger Things Merchandise that’ll make you feel upside down. Our first item is the casual tee. 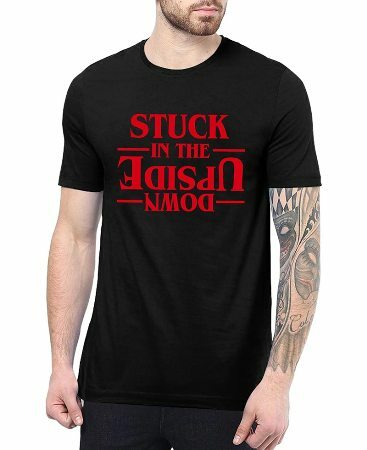 If your life is stuck upside down, you should prefer this tee or gift it to someone who has the same problem. 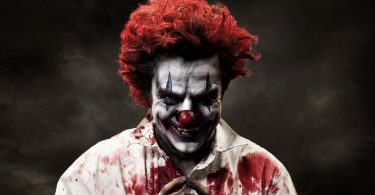 Season two is a significant part of the franchise featuring new mysteries and spooky scenes. 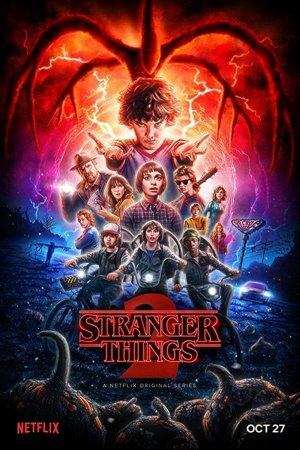 The Stranger Things Season 2 Poster. 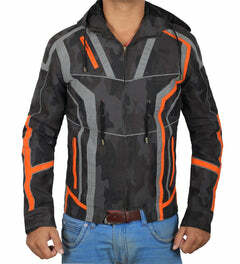 Dustin clothing revolves around the idea of fashion and here is one example. Now you can have it with only few clicks. 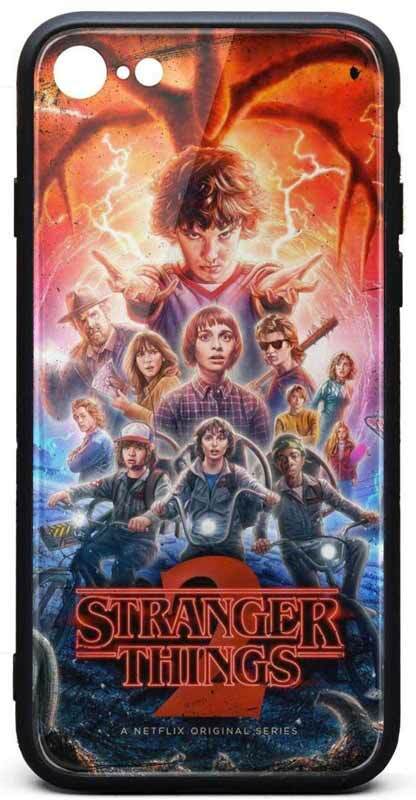 iPhone 6s owners can buy this movie inspired phone case. 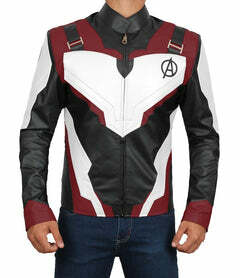 It is made from hard plastic and features the season one poster. 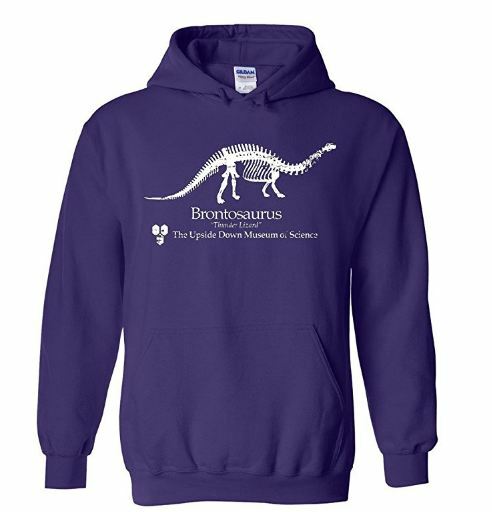 Winter is coming, keep yourself cozy and stylish with the featured Sweatshirt Hoodie. Best to wear and keep the fever alive. 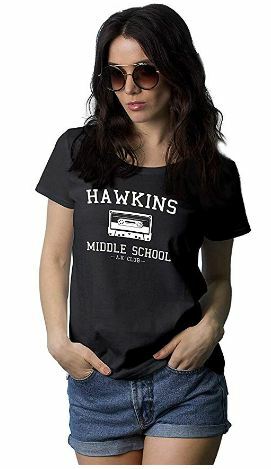 Lot of fans admires this tee because it is something you can associate yourself with Stranger Things. Available in two colors. One more thing that you can’t afford to miss is the featured shirt. If you live the life your way, consider adding this to the cart. Yup, that’s the truth and Stranger Things proved it. 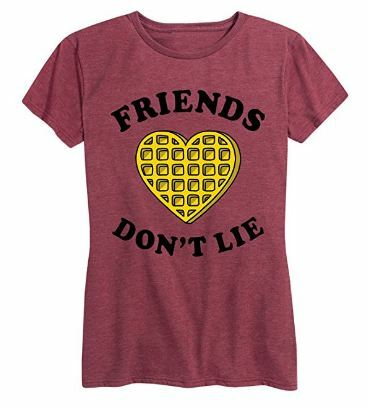 You should consider gifting this shirt to someone special. A lovely girl needs a beautiful gift, presenting the necklace inspired by the movie. It is 18” long and has three extenders. Ready to go back to school. 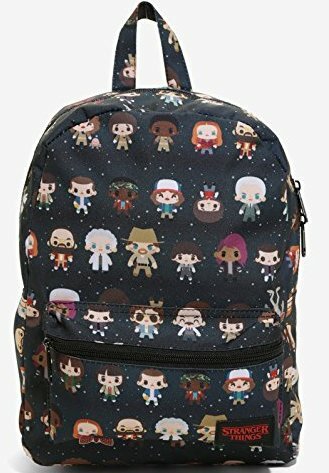 No need to be afraid, Eleven got you covered and what makes you a real fan is this awesome backpack you’ll be wearing. 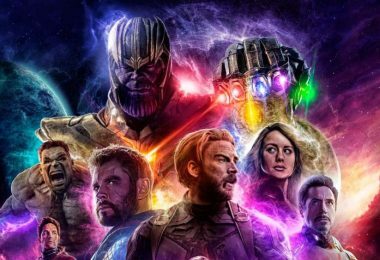 Featuring all characters from the series. 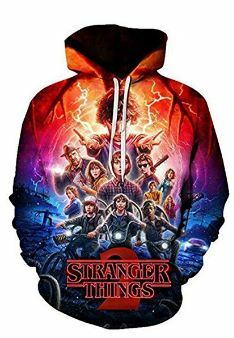 Embrace the fashionable Nancy Jacket design for women who have love or hate situation with Stranger Things. 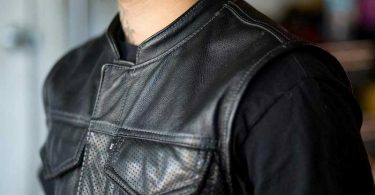 The stylish piece comes with screen accurate details and provide great comfort thanks to the stitched fur collar. Whats really strange is when you have these toys in your room. 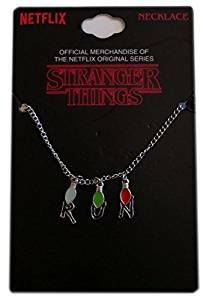 No matter what anyone says, these are the best collectibles for our Stranger Things Merchandise idea. 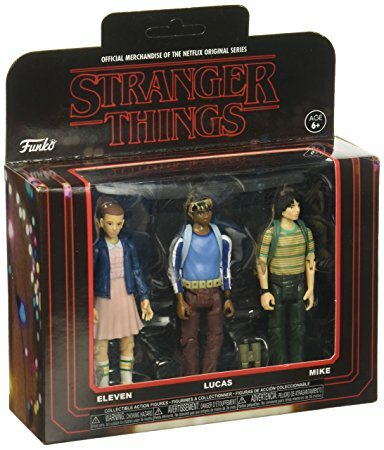 The box contains three characters Lucas, Eleven, and Mike. 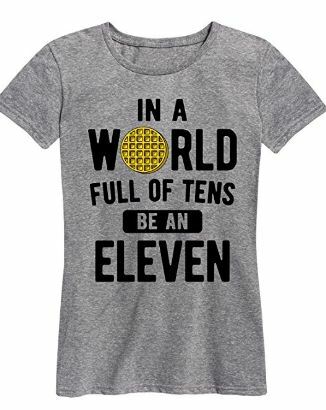 Another classy T-Shirt to channel your style. 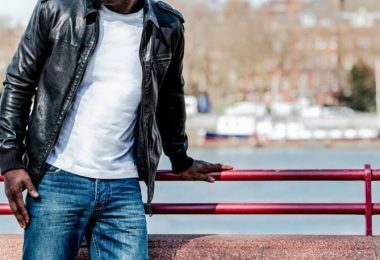 This one has the simple plain logo text that is available for both men and women. 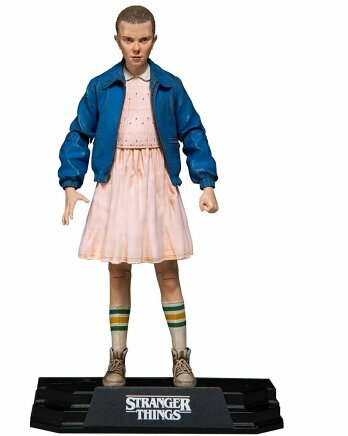 The official Netflix 5-inches tall Statue to decorate your room. 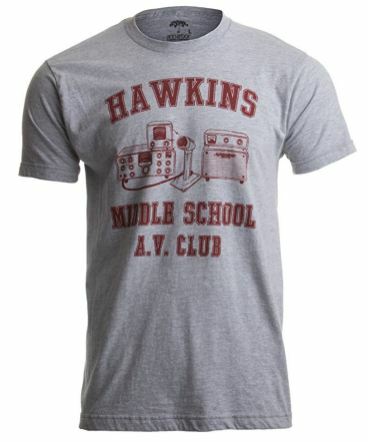 This is something every fan would love to add to their Stranger Things Merchandise Collection. Get a load of this amazing Card game. Get rid of all the cards and escape from the upside down world. 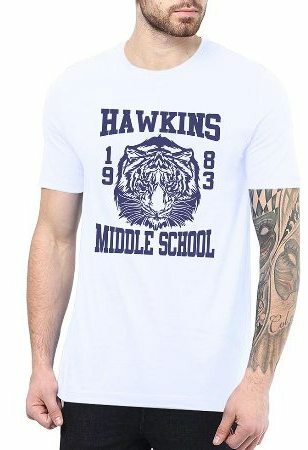 Set up a trend in the casual Hawkins Middle School Shirt inspired by the movie. 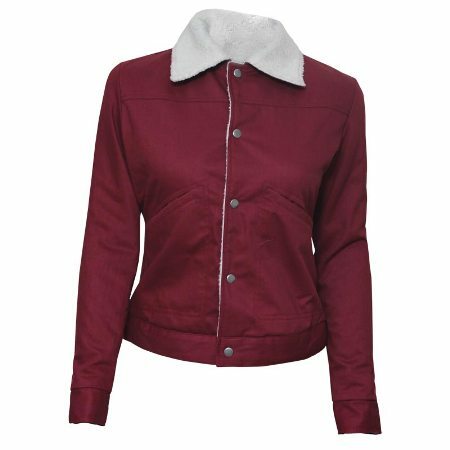 Made from cotton and good to wear with jackets. Like to have a sip of coffee in the featured mug? 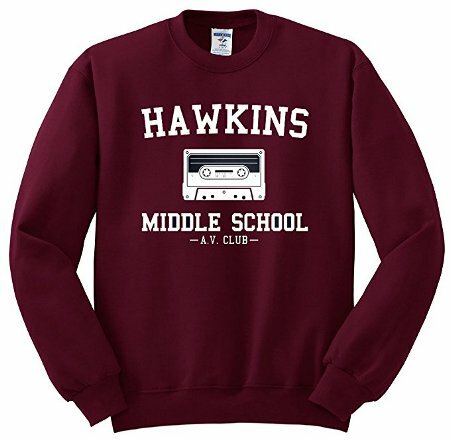 Because this is something you want to have in your Stranger Things Merch Cart. Coated in Ceramic Material with a unique quote. 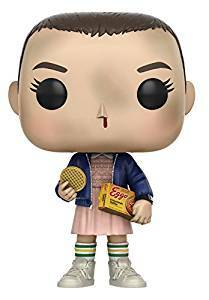 The gift guide can’t be finished without adding this awesome Eleven Funko in the list. 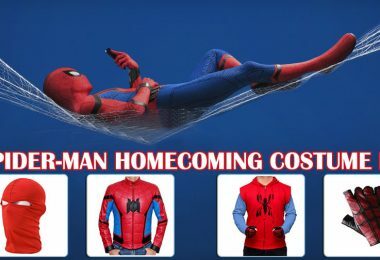 Do you like to collect stuff? Consider this amazing toy. 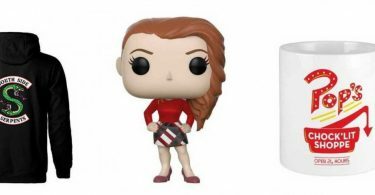 Also, check out more funkos. There is no excuse to avoid this gorgeous sweatshirt. 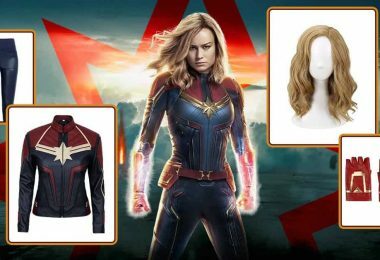 Wearing it will bring back the old 80’s era. 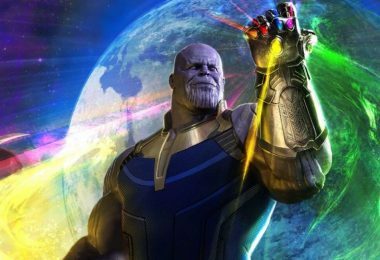 Here is a special treat to level up your hype. 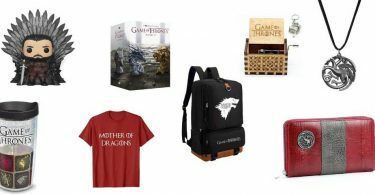 This bundle includes a bunch of goodies such as toy figure, greeting cart, and food items from season 1 & 2. This idea is best for every foodie out there. 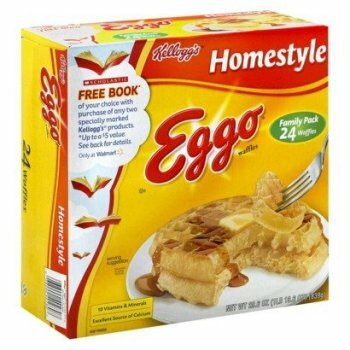 The delicious Kellogs, Homestyle Waffles ready and served in a boxed pack. Start your day with this yummy treat. 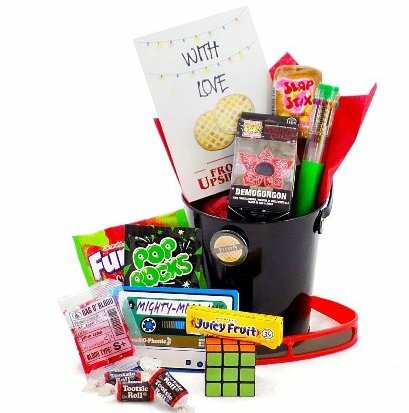 Buying these Stranger Things Merchandise won’t make your life upside down. 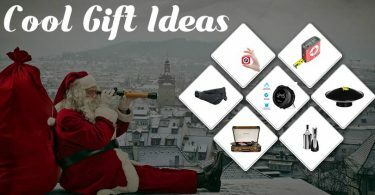 We have added the best idea available on the internet. 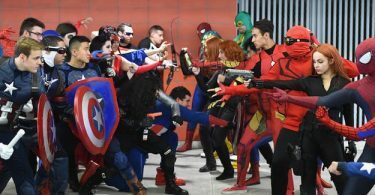 Don’t forget to share with other TV Series Fans.